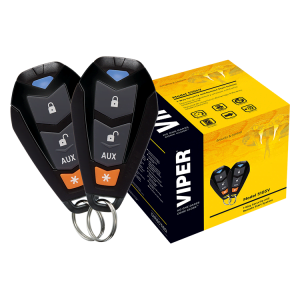 Start your car from up to 1500 feet away with the Viper 4105VB remote start system. 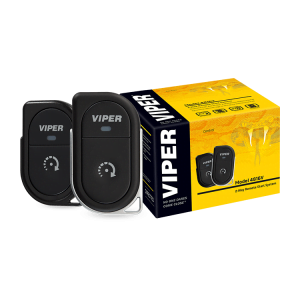 In addition to the remote start function, this system includes keyless entry while being compatible with Viper’s Smart Start system. 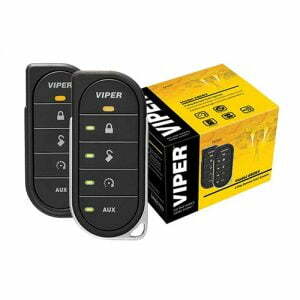 With 2 convenient 4 button LED remotes, Viper 4105VB remote start is the perfect solution to your hot summers, cold winters and early mornings! With Viper's new DS4 technology, smartphone vehicle control capability is built right into your Viper remote start system. No extra interface modules or SmartStart hardware is necessary. 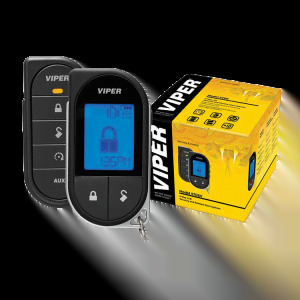 Viper is the world's best selling vehicle security and remote start brand. They use cutting-edge technology to make sure you are in control, providing range and features you can count on every time. 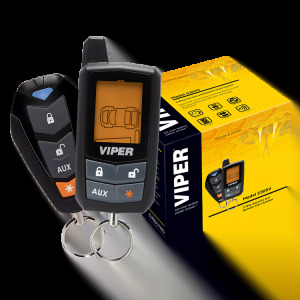 Viper SmartStart is a clever solution that combines the functionality of your vehicle’s key fob with your cell phone. 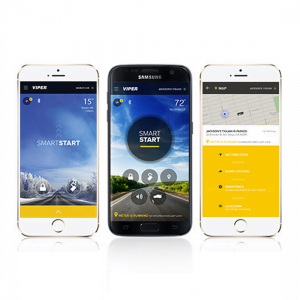 Now you can control your vehicle’s locks, security system, remote start system, and trunk release with your cell phone. 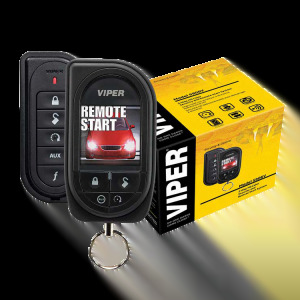 Anyone who’s used a remote car starter before knows that range is critically important to maximizing the value of your remote starter – and range doesn’t get any better than with a Viper SmartStart. If your phone has sufficient signal and your vehicle also has sufficient signal your all set. Your vehicle can be pretty uncomfortable in extreme weather. In fact, getting into a frozen or overheated car can be downright painful. With a remote car starter, you can start your car from the comfort of your home to make sure it is the right temperature before you get inside. The DS4+ SmartStart remote start system provides virtually unlimited range so you can rest assured your remote start system is activated no matter how far away you are from your vehicle. 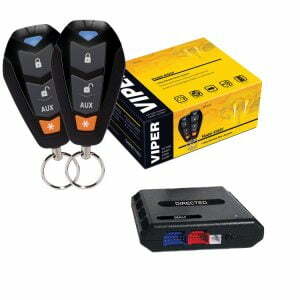 If you already have a compatible Viper system in your vehicle, you can add the stand-alone Viper SmartStart module. For compatible models please call us at the store toll free 1-877-735-7899. 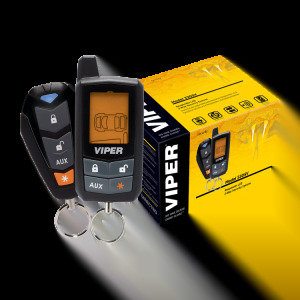 Is Viper SmartStart available outside the Canada?